Larger-Than-Life Memoirs Seattle librarian Nancy Pearl recommends 10 personal tales that emphasize strong writing and stories that capture truths relevant to the wider world. Seattle librarian Nancy Pearl recommends books to Morning Edition listeners from time to time. Her theme for this installment is the memoir. Pearl has recommended 10 books. She says that she avoids self-indulgent memoirs. What she looks for in a personal story is wonderful writing first, and then context that makes the book relevant to the wider world. 'Black Dog of Fate' by Peter Balakian. Published by Broadway. No excerpt available. British aristocrat Jessica Mitford's Hons and Rebels is at the top of Pearl's book pile. One of seven children, Mitford was a woman who developed socialist beliefs even while two of her siblings became attached to fascist ideas in the years before World War II. Mitford developed into an accomplished journalist and applies those skills to this book. Black Dog of Fate is Peter Balakian's tale of growing up Armenian in New Jersey. His story is a journey of personal discovery centered on the 1915 genocide that may have killed as many as one million Armenians. Going Back to Bisbee is a story that captures the beauty of the desert through the story of a trip in Arizona, a state author Richard Shelton has lived in since the 1950s. Author M.G. 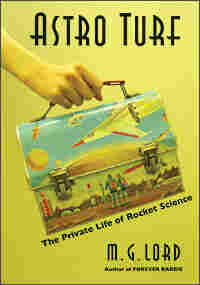 Lord captures the detached, male culture of the Jet Propulsion Laboratory in her book Astro Turf. Lord's interest in the JPL is personal. Her father was an engineer there working on Mars exploration as she grew up in California. Floyd Skloot's In the Shadow of Memory is a collection of essays detailing Skloot's experience of losing his memory after being infected by a virus. Gracefully written, the book also chronicles Skloot's struggle to regain memories lost to the illness. The other memoirs recommended by Pearl are: Rain or Shine by Cyra McFadden; Hole in the Sky by William Kittredge; How I Became Hettie Jones by Hettie Jones; Minor Characters by Joyce Johnson and Mountain City by Gregory Martin.